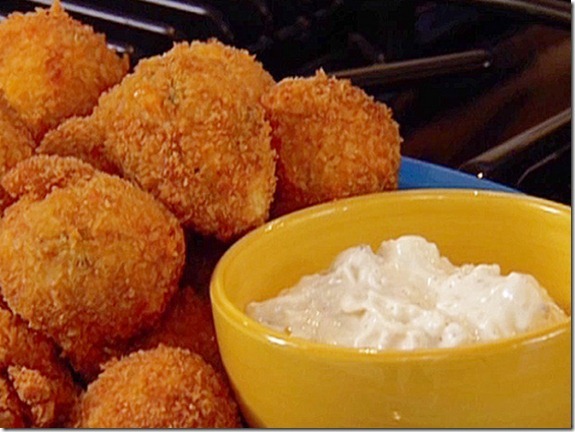 I changed the following recipe of chicken mayo balls a little bit. What I did is that instead of adding chicken in potato mixture, I added chicken in mayo mixture and then I filled it in the center of potato balls. The result was great and they were really yummy. Boil potatoes and mash it. Boil chicken and shred it, mix it in mashed potatoes. Add salt, pepper, chicken powder and mix it well. Now take mayo add bell pepper, spring onion, carrot, baby corn, chili sauce, mustard paste, salt, pepper, and mix it well. Now take chicken potato mixture and flat it in hand, add mayo mixture in center and cover again with potato mix and shape it like a ball. Dip this ball in egg and then breadcrumb and fry it. Your Chicken Mayo Ball is ready. Serve hot with sauce of your choice.